In the background…I’m loving it! I hope you will too. I visited Okinawa a couple of years ago and found myself at times more interested in what was going on in the background on the streets as we drove around. Well, I didn’t do any of the driving. I was doing good as a passenger trying to get use to being on the opposite side of the road as well as in the car from what I was use to. Good experience but some things are just better left alone…me driving on the opposite side of the road was one of them. …in the background in the routine of the day! It’s a good practice to appreciate the ordinary. You can get more out of life that way. Nothing overlooked. Just learning to value all that surrounds you. My mom used to have a saying,” If you learn to eat everything, you’ll never go hungry.” Guess, I can apply that to life in general by saying, “if you appreciate everything, you’ll never…you’ll never …get bored.” Well, anyway something like that. Thanks, Mom!! Seriously, if you learn to appreciate most things, you will add great value to your life as a whole. You will not take things or people for granted. What a precious characteristic to possess. We live in such a fast pace world and tend to overlook such detail that would be such an addition to our very being. Slow down take notice of what is around you. Just to try stop now and identify 10 things in your day that made a pleasant difference for you: the weather, someone letting you in traffic, a phone call, a text, hot running water, a bird perched on a pole, a flower in an unexpected place, a child’s smile, full use of your senses and limbs. So many things get pushed into the background of life as we hurriedly or intensely go through our days and nights. Bring the things in the background to the foreground and enjoy even the details of your life. Like in my photos…you never know who’s watching and appreciating what you may be taking for granted. Oh my, it has been a while but I’m back. I have one more life transition coming up, then I can somewhat settle down for a while. Talk about Escape. What a fun photo challenge to come back to. I feel like I have had an escape from some things…for a little while any way. That’s what came to mind when I first saw the challenge for the week: getting away from it all. But in my photo collection what came to mind is one of my favorite subjects of plant and flowers. Below I’ve defined my idea of Escape in relation to the Scotch’s Broom Plants I’ve come across in the state of Washington. These beautiful yellow plants that can be found almost everywhere along the road sides, highways, in fields and even in yards. They are literally everywhere in abundance. That is what made me research them out to find out just what was this plant. It is in the same category as the wild blackberry plants that are also in abundance around this area. In their season of fruit, I also enjoy the luscious berries of this weed. How can something so beautiful be labeled as an “invasive weed?” Doesn’t seem fair, but then I’m new to the area and don’t have it invading my personal property or territory. 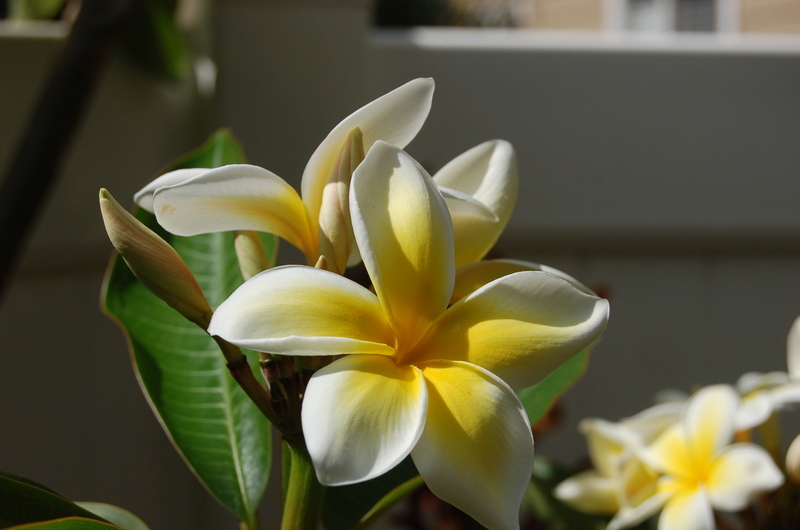 I just enjoy the sight of the vibrant yellow color and even the fragrance they release when you get close to them. And when you do get close, the single blossom is so sweet to see in the midst of the sea of yellow. 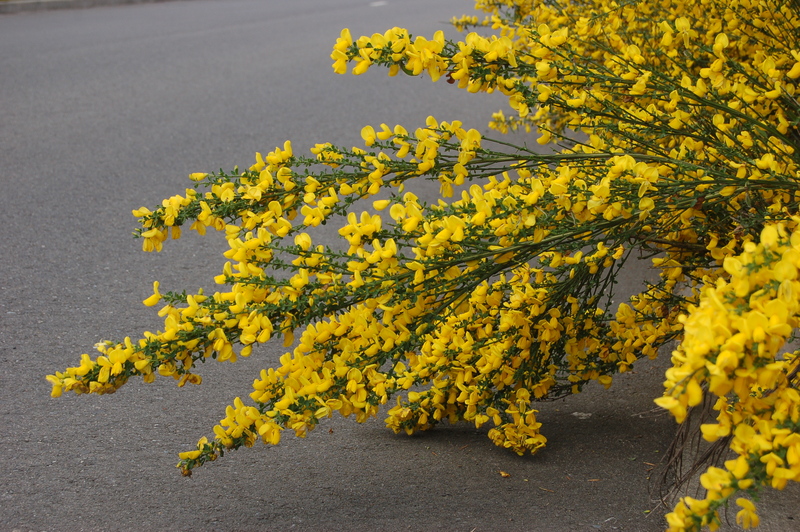 I read that the Scotch’s Broom actually belongs to the sweet pea family. So how do these gorgeous weeds define my idea of Escape? The norm is good sometimes, but other times you have to break away and do your own thing. As the saying goes, “Grow where you’re planted.” Or in this case, grow where the seed falls! I enjoyed the challenge this week. I hope you did too. Thanks for dropping by. Sure feels good to be back. Like I mentioned, I have an upcoming transition but I shouldn’t disappear like before…chuckle. Hope you come back to visit and I will see you around. Love, Grace and Peace, Kulia!!! “Whether you’re a beginner or a professional, you’re invited to get involved in our Weekly Photo Challenge to help you meet your blogging goals and give you another way to take part in Post a Day / Post a Week. Everyone is welcome to participate, even if your blog isn’t about photography. This challenge was about the shapes and rhythms that make up the geometry of our world. It’s everywhere. All around us. Such variety. Being surrounded by the design and nature of the beauty of the world makes life so interesting and enjoyable. Appreciate the opportunity to look a little closer. You’ll be surprised what you might see. You’ll not only find the definition but also some great photos and fun entries to visit. I’m running a little late on entering the challenge, but didn’t want to pass up the opportunity. So here are some photos to share that depicts my take on the color Orange!! Nature holds so many shades of orange. Makes you smile and feel good on the inside. It changes the atmosphere. Just like people, fragrance and music, color has powerful influence. Looking at my images, you’d think the challenge was the color orange AND circles. Everything I included is round. Oh well, orange and round is good. Not to mention couldn’t resist my favorite subject of including a flower or two. Thankful to have been able to share. It was fun! Hope it put a smile on your face as it has mine!! It stated, if you paint only with red, you will get what only red can do. If you paint only with yellow, you will get what only yellow can do. When you paint with red and yellow, you’ll get new possibilities, fresh solutions and vibrant outcomes. Thanks again Cee for a fun filled challenge. I now have a new favorite quote. I almost didn’t make it due to schedule and routines of life, but here is my take on the Weekly Photo Challenge: Foreign. Images I chose for the challenge are outside of my everyday environment. Some have become less and less foreign to me because I revisit them often…like the food!! The things that are not apart of everyday life that come to my mind tend to be times when experiencing special cultural celebrations; visiting famous tourist spots; and especially my favorite, enjoying foods that we don’t normally prepare for ourselves. I believe going further than the norm is good. It makes us think and causes us to stretch and grow as individuals. Funny I should say this, I was not a person who liked a lot of change. But as wisdom often comes with time, I have learned that change, diversity, a step beyond the usual is a wonderful thing. Without variety and even sometimes without the unexpected, life would be very dull. These photos I’ve shared with you are from a wonderful visit to mainland Japan and Okinawa. Through those things that are foreign to me…I expand who I am. I really enjoyed this theme. It took me back to some great moments. One of my joys is to water my “yard-garden” and then take some shots of some precious homegrown plants. The water droplets are so fun to try and capture. One day in the near future I will get a macro lens and have a hay day everyday with all my photo captures…they’re out there waiting for me. Til then, I just enjoy what I can get…and I really do enjoy it! They are not professional shots, but they are Mine…Oh wait, that was another challenge…anyway, water droplets, I love! Water is also a home to many living things. I had the pleasure of viewing Salmon at Tumwater Falls Park in Washington. Would have loved to had some of those on a plate or two or three… It was a fun sight to see. The falls and stream water there at the park was a beautiful sight also. The trail had very nice views and offered a lot of variety. Not a very long trail, but just enough to catch some nice shots. Water, a source of beauty and and an invitation to tourist pleasure. In Chicago, Illinois, Buckingham Fountain is great to see day or night. But you have to admit, the night time water, music and light show is the one to catch. Great fun, Great shots, and an abundant amount of water that spouts through this fountain. The center of the fountain shoots up vertically 150 feet in the air! Water, what a great theme. I can’t wait to visit and see what is being shared. Something that can be so calming, gentle and needful yet it can be forceful, harmful and uncontrollable. Water has many faces, yet whatever is present…you have to respect it. Gotta have it, can’t live without it. Wonder what your fondest memory of water would be. Mine would be as a child riding through giant water puddles after a heavy rain. Too bad I didn’t have photos of that to post…that would definitely have been included in my entry.